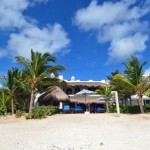 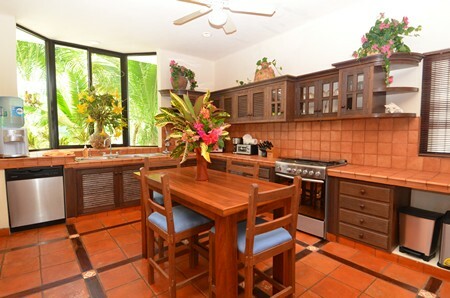 Casa Magica is situated on prime, beachfront property, on gorgeous Jade Bay, surrounded by palms and facing the Caribbean Sea. 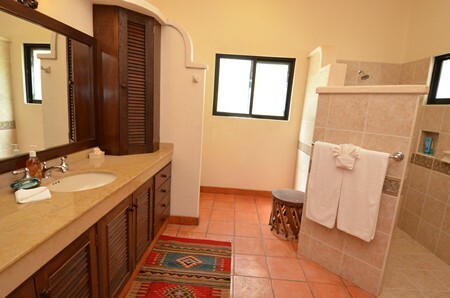 Casa Magica is spacious and stylishly furnished; with warm, earthy colors that sooth and comfort your spirit as soon as you enter. 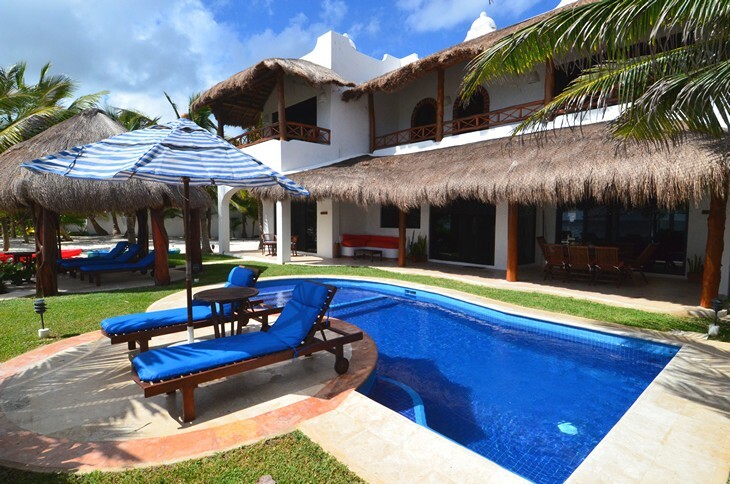 This villa has four superb bedrooms, 4.5 bathrooms, a great seaside pool and the soft, coral sand of Jade Bay beach right in front. 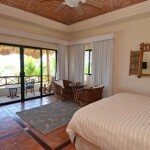 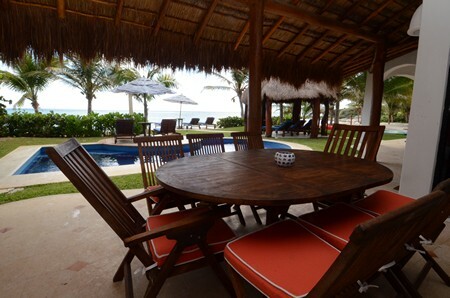 There is also a casita that can accommodate up to two more guests, meaning this villa is perfect for groups up to 12 people. 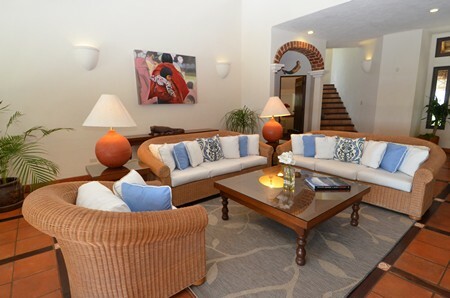 The living room, kitchen and dining areas have a sweeping floor plan that allows plenty of room for socializing. 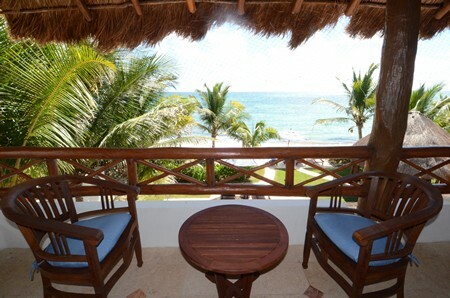 In the living room, classic wicker seating is piled high with pillows, super comfortable for just relaxing and soaking in the views. 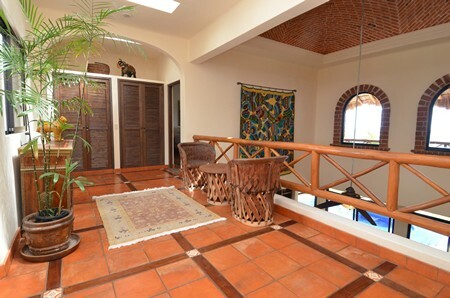 A two-story ceiling towers above the living room capped by a beautiful brick dome. 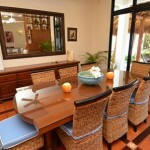 Across from the living room is the formal dining room, which seats eight in elegant style. 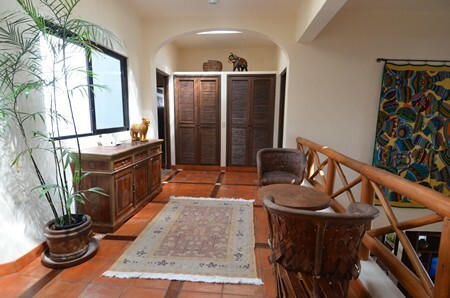 And just off the dining room, the kitchen has a brick arch, nicely complimenting the Mexican terra cotta tile floors which are throughout most of the house. 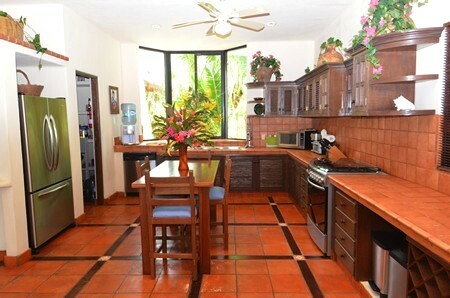 The kitchen is flooded with light from a garden view, bay window and is fully equipped with modern, stainless steel appliances, even a dishwasher! 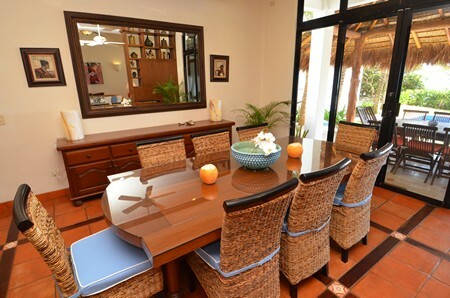 A small table with chairs in the kitchen and raised breakfast counter with bar stools, is perfect for snacks, informal meals or just chatting with the chef. 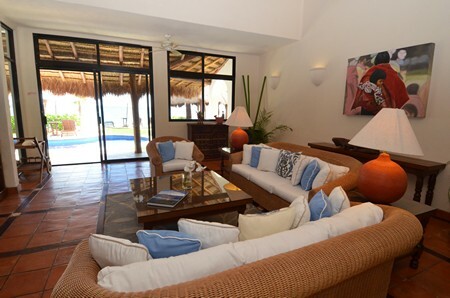 Glass doors open from the dining and living areas to the beach side patio, swimming pool and that oh, so incredible view! 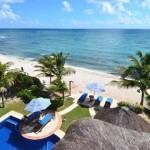 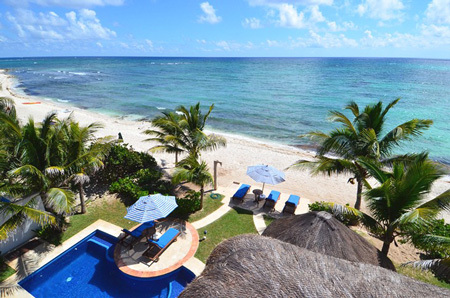 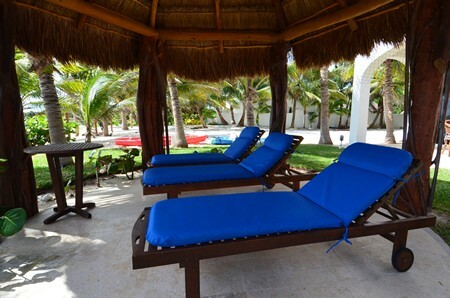 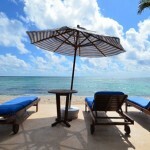 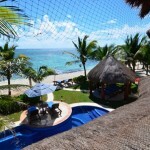 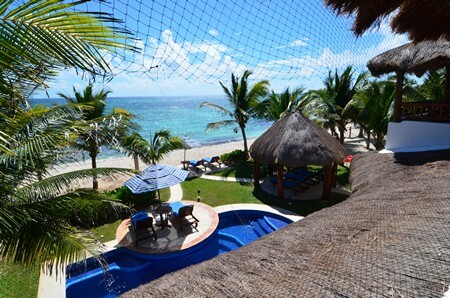 Chaise lounges for sunbathing, a thatched roof pavilion and a barbecue grill are all on hand for poolside cookouts. 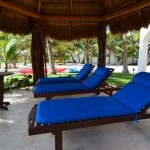 The pool is tiled in cool blue and is very nice for a dip or just floating about with your favorite beverage. 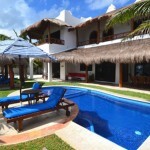 The pool has a shallow entry with a level area that’s great for kids and adults. 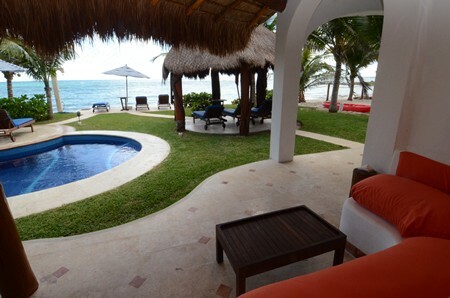 Curved sidewalks lead out from the villa’s shady verandah, through a grassy lawn toward the beach, where an exterior shower is handily located at the edge of the sand. 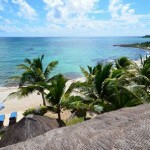 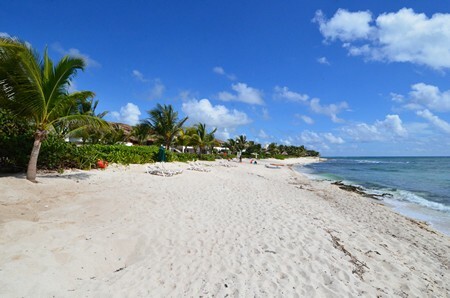 The bay has a clear, sandy entrance right in front of the villa, excellent for swimming and snorkeling. 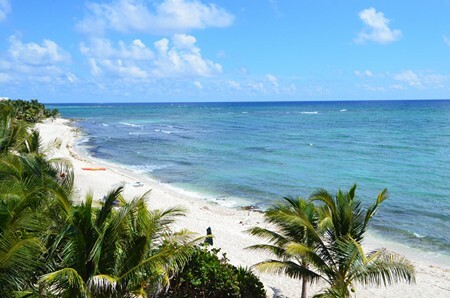 The Bay’s outer reef break reduces the incoming waves, providing calmer waters for snorkeling the coral heads. 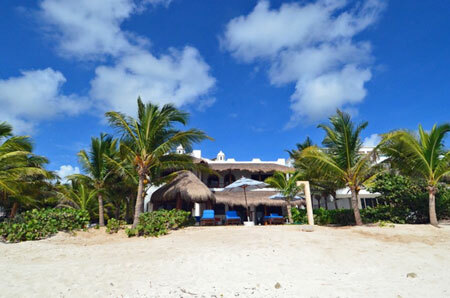 This is one of the best parts of Jade Bay for snorkeling and the sea turtles just love it, especially during nesting season. 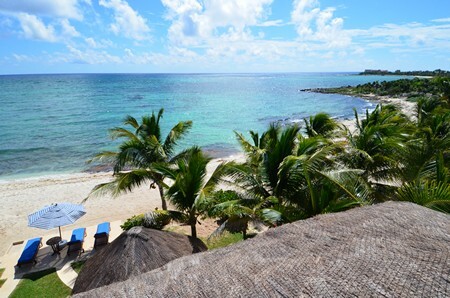 Try a spin around the bay in one of the kayaks too; its great exercise and you’ll love the views! 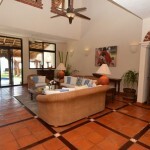 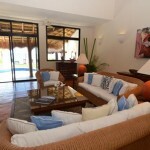 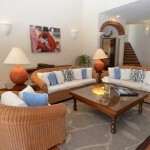 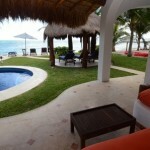 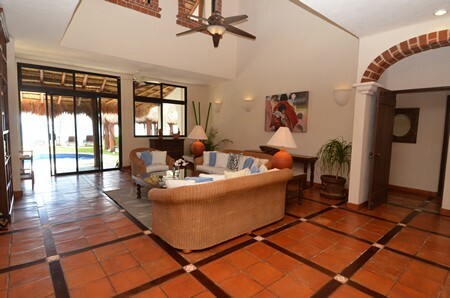 Of the villa’s four bedrooms, one is on the main level and the remaining three are upper level. 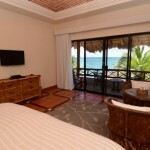 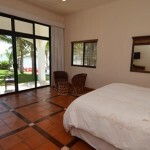 The ground floor master suite has an expansive wall of glass with a slider leading out to the ocean side patio and pool. 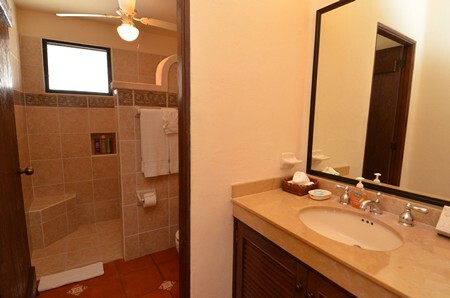 This king sized master suite has a huge private bath with an over-sized shower. 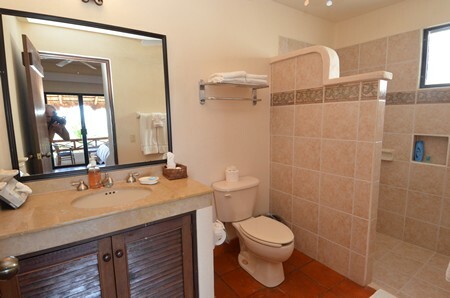 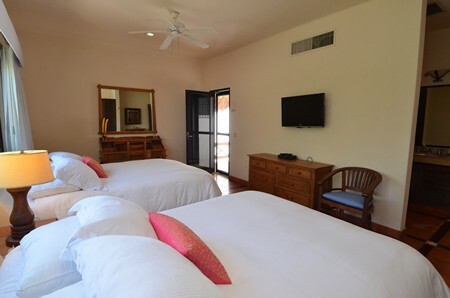 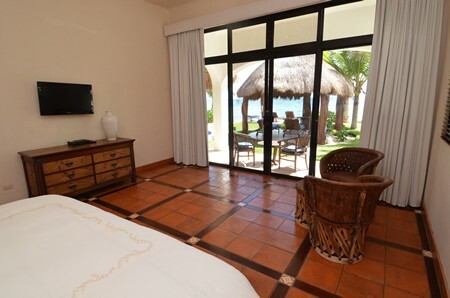 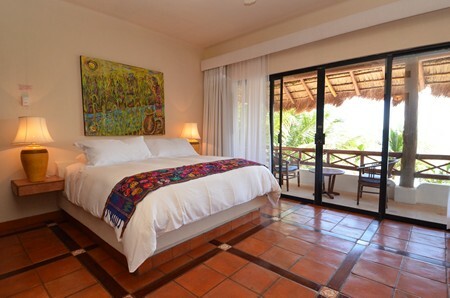 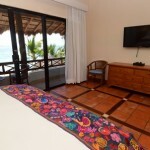 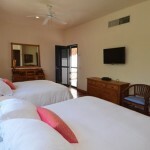 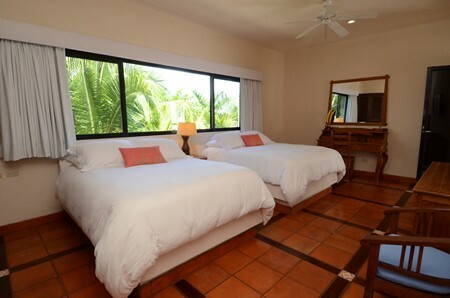 A nearly identical, upstairs master suite has a king bed, private, covered, ocean view terrace, a large private bath with double sinks, over-sized shower and separate bathtub. 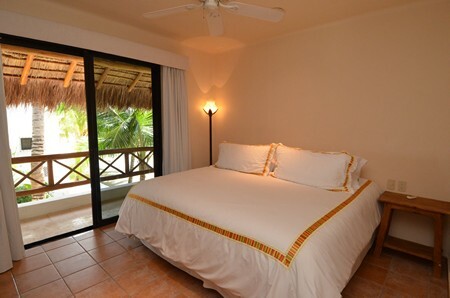 Another upper level bedroom also faces the sea and has a king bed, private bath and access to a separate, oceanfront terrace. 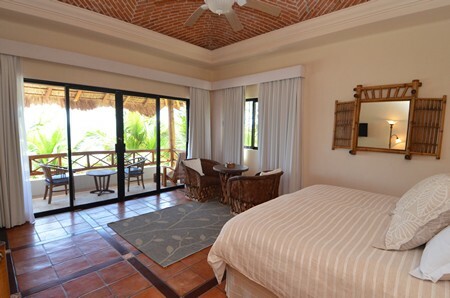 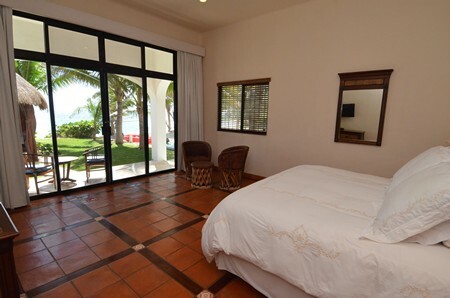 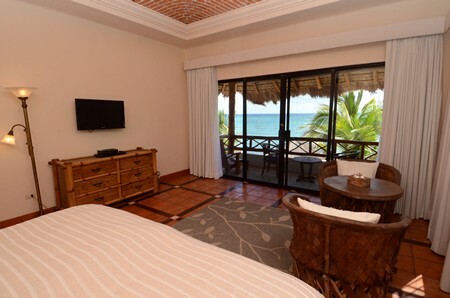 The fourth bedroom is furnished with two queen beds, has a private bath and looks out on coconut palms through panoramic windows, and has a small private ocean view balcony. 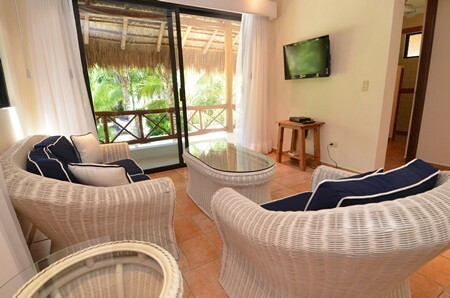 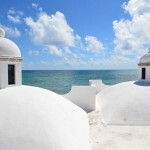 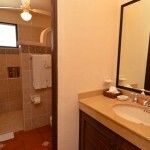 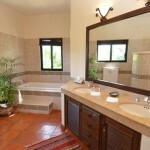 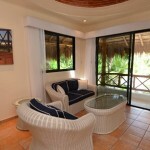 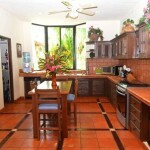 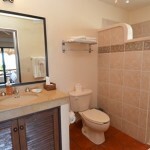 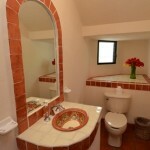 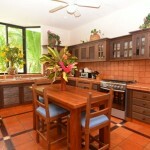 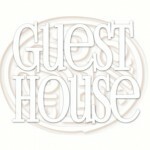 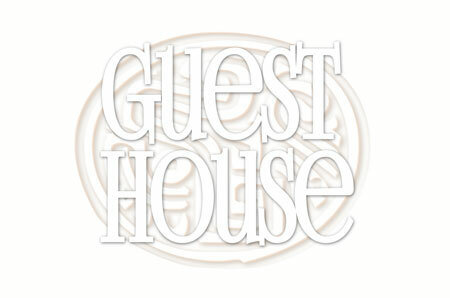 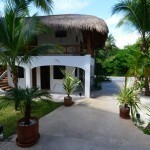 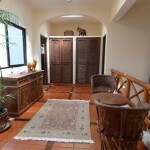 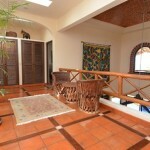 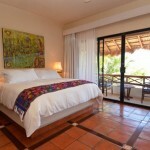 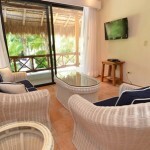 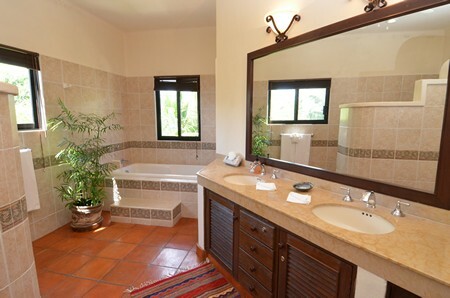 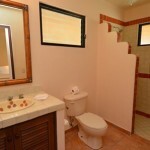 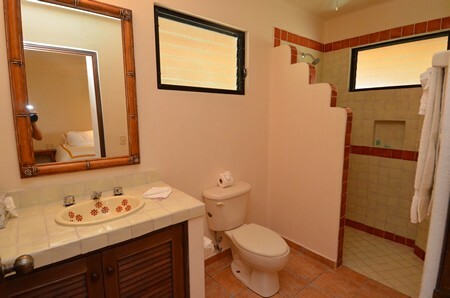 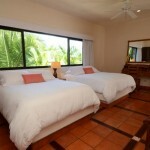 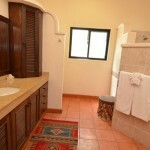 With the casita/guesthouse, Casa Magica can accommodate up to twelve guests. 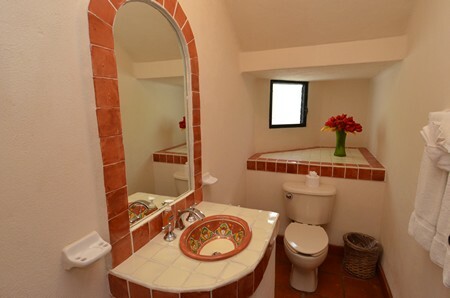 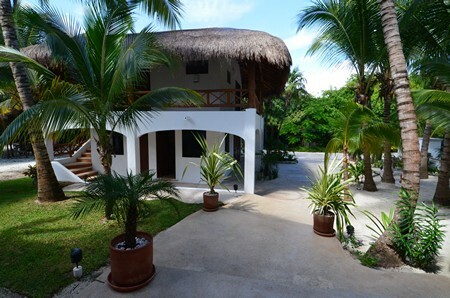 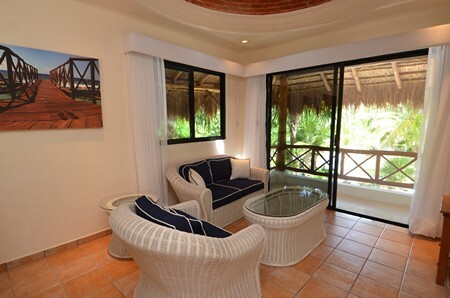 This lovely little one bedroom casita is air-conditioned, has a kitchen with a small range and full size refrigerator, sitting area, full bathroom and a private balcony. 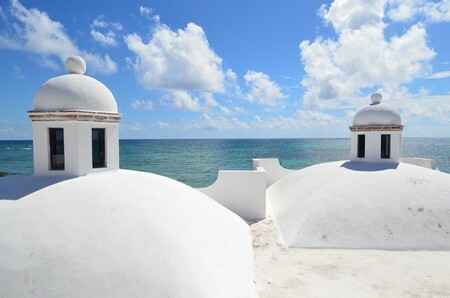 Don’t forget to make your way up to the rooftop observation deck for spectacular, panoramic views of the Caribbean; this is a great way to see the wide sweep of Jade Bay! 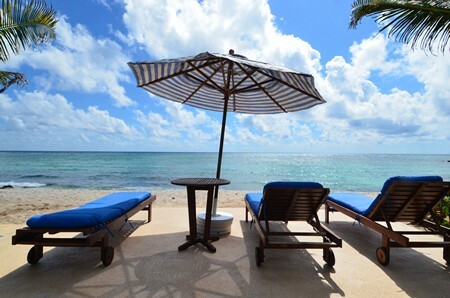 Taking time to observe the twilight sky at daybreak or sunset is a wonderful way to disconnect from the day and recharge from within. 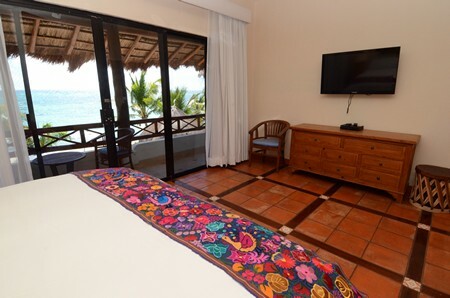 Stargazing in the evening, is an incredible experience here, with the stars appearing so close you feel like you could reach out and touch them! 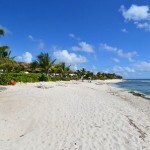 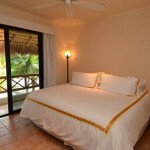 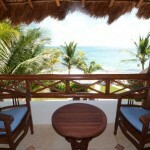 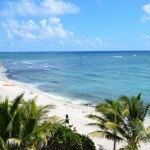 Rates are in USD, per week, for up to 10 people. 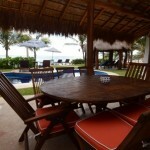 Add $500 USD per extra person ($250 USD for children 9 and under) over base 10 persons.